Teamwork is everything and our people are the driving force behind Loch Leven Equine Practice. We understand how important they are and therefore select people who only work with horses, are passionate about providing exceptional client care and have a love for all things equine. None of our vets treat farm animals or small animals, they are 100% dedicated to looking after horses. Our philosophy is to invest in the whole team’s personal development and build a culture and an environment, where their wellbeing is prioritised and learning and development becomes part of the norm. We were delighted to be highly commended in the SPVS Wellbeing Awards 2017, these awards were created to recognise practices who understand the importance of motivating and engaging their teams and who can demonstrate a commitment to making a better place to work. 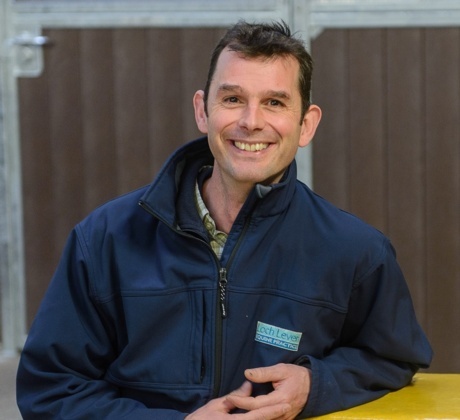 Hugh qualified from Bristol University in 1997 and before moving up to Scotland spent eight years working in dedicated equine practices down south. These ranged from smaller horse practices with basic operating facilities to bigger practices with purpose built operating facilities with a large throughput of equine surgeries. A nagging feeling to return to Scotland and join his parents resulted in the start of Loch Leven Equine Practice. In 2010 Hugh was amongst the first group of Equine vets in the country to pass the new Certificate in Equine Surgery - Orthopaedics. His main passion lies with the orthopaedic work and whilst he initially missed the surgical aspects of the job whilst setting up the new practice, the recent building of our new purpose built surgical facility has been incredibly rewarding. He now heads the surgical service at the clinic. As if doing one certificate is not enough Hugh will shortly be starting a second one with the University of Liverpool in Veterinary Diagnostic Imaging. Away from work Hugh enjoys driving his toy car very fast round Knockhill and lots of outdoors activities including climbing munros, kayaking, fishing and skiing. He particularly enjoys escaping to his parents' home in Heriot with Liz, Archie and Euan as well their dogs Beanie, Boris, Pip and Crumble. After graduating from the university of Glasgow in 2008 Hannah worked in an equine practice in Chorley, Lancashire. During her time in Lancashire Hannah developed interests in stud medicine, dentistry and geriatric care. 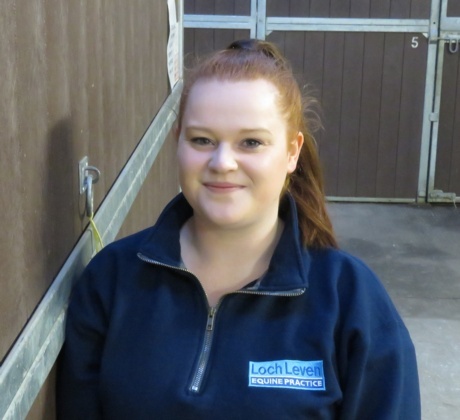 Hannah has had a keen interest in horses all her life, she was an active member of Linlithgow and Stirlingshire Pony Club and the University of Glasgow riding club. Hannah and her husband Ross welcomed Maisie to their family in July 2017 and any other spare time is spent walking her little dog, Ralph, who can often be seen out and about with her keeping Hannah company in her car. 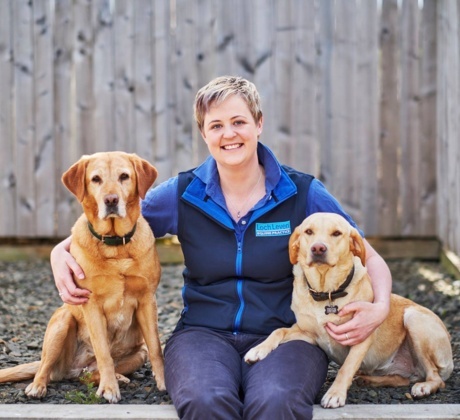 Jane is an experienced equine vet who graduated from Edinburgh University in 2006. 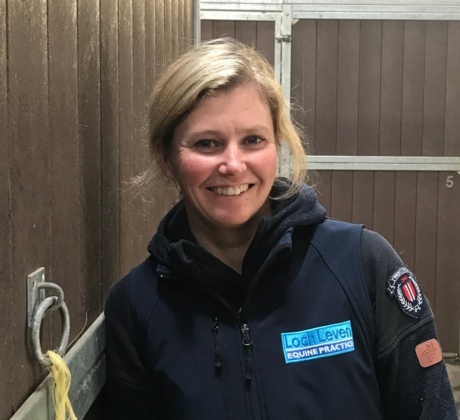 Since graduating Jane has worked in a variety of large equine practices, including spending six years at a large veterinary hospital facility in Leicestershire. 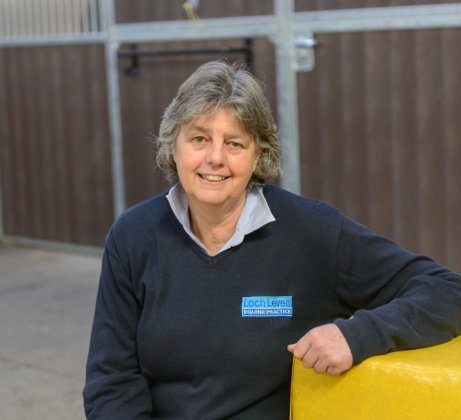 Jane enjoys the challenges of equine anaesthesia, advanced dentistry and equine medicine and has been focusing her time recently on developing the practice’s advanced equine dentistry service. She is currently enrolled on her Certificate AVP in Equine Dentistry with the University of Liverpool. Outside of work Jane is a keen cyclist and loves hill walking with her terrier Inky. Anne graduated from Glasgow Vet School in 1976 and has built up an excellent reputation for both her farm and equine skills. Anne is interested in all things bovine and equine, their production, performance and welfare whilst under her care. Wife of a dairy farmer, one time groom to competitive daughter in eventing and show jumping, working in the practice often seems like home from home. 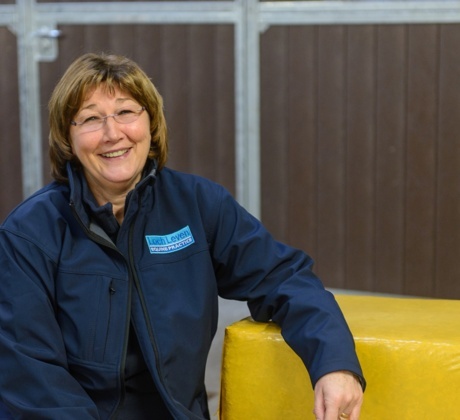 Outside work Anne is actively involved in organising many regional shows including the Royal Highland and is a British Showjumping Area Representative. Karen graduated from The University of Edinburgh in July 2014. She subsequently worked in North Yorkshire, before returning to Scotland to work in Aberdeen at Ardene House and then joining the team at Loch Leven. Karen enjoys all aspects of equine practice however has a particular interest in equine medicine and anaesthesia. In her spare time Karen enjoys spending time outside in the countryside walking her border collie Archie and bedlington whippet Bella and riding her horse Oscar. Originally from Norway, Rebecca graduated from Vet School in Budapest in 2015. Following graduation she worked at a small Equine hospital in Sweden before deciding to move to UK. On coming to the UK Rebecca completed an 18 months internship at a large Equine hospital in Gloucestershire where she was in charge of anaesthesia and looking after their in-patients. Her professional interests include lameness, poor performance and anaesthesia but she particularly enjoys seeing all types of horses and ponies getting better. She is currently studying for her Certificate AVP in Equine Orthopaedics with the University of Liverpool. Rebecca has been around horses all of her life and has competed to a high level in dressage as a Junior and Young Rider for the Norwegian national team. She has also taught dressage to Pony Club members through the ranks. Jenny grew up in and around Kinross before graduating from the University of Glasgow in 2005. Prior to becoming a vet Jenny competed at Equestrian Vaulting since the age of eight and was member of Team GB from 1997 until 2000, competing at WEG 1998 in Rome as an individual. Talented Jenny was ranked No. 1 female individual in GB in 2000. After taking some time out to have her gorgeous little boy Jason, Jenny is also working part-time for Professor Derek Knottenbelt at Equine Medical Solutions and is part of the Vets with Horsepower team. Outside of work and when times allows Jenny enjoys helping her mum with her horses, riding her BMWF650GS Motorbike with her Dad, keeping fit, riding, baking bread and skiing. Nienke qualified from Massey Veterinary University in 2002. She quickly chose to pursue a career in equine practice in New Zealand before moving to the US to do an internship in internal medicine at Hagyard Equine Medical Institute in Kentucky and this is where she fell in love with neonatal medicine and the thoroughbred race horse. The next few years were spent working in New Zealand, Singapore and Australia where she completed a certificate in Internal medicine. Nienke then moved to Scotland doing more general equine work including three years at Thrums Vets and a stint at the Edinburgh University as a lecturer in Equine Practice. 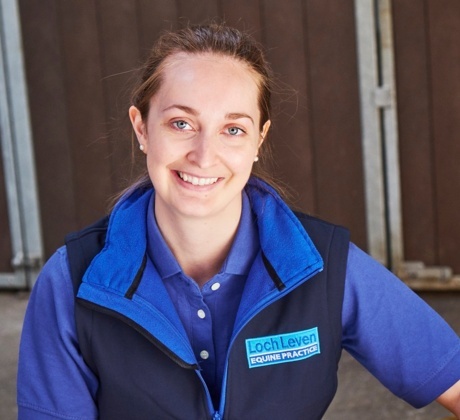 Her veterinary interests are very varied from lameness to stud and sport horse medicine. She is also a certified acupuncturist and a member of the British Veterinary Acupuncture Association and is really excited about developing this service further. Alongside Hugh, Liz is one of the founding Directors at the practice and her role as Practice Manager and Managing Director is to oversee the running of the business and focus on the long-term strategy of the practice. 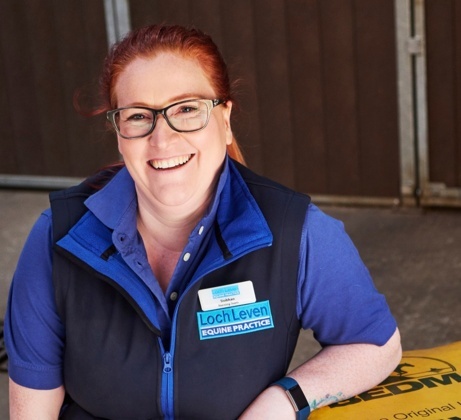 Liz is passionate about practice management in the veterinary industry and has a particular interest in the wellbeing of all of the practice team and creating a culture where the team can thrive in their individual roles. She is currently studying for a Certificate in Business Veterinary Management with the University of Liverpool. All of Liz's previous jobs have involved horses whether in racing, eventing, rehabilitation or working as a nutritionist for Feedmark. Away from the office Liz keeps busy with her passion for eventing on her horse Splash. Liz and Hugh have two boys Archie and Euan who can often be found helping in the office. Lindsay is Liz’s PA, or better known as her right hand (and left hand) woman. Lindsay grew up in Ayrshire and relocated to Clackmannanshire 2016. Having studied for her HNC/HND at Oatridge from 2008-2010 Lindsay then changed career paths and studied human dental nursing, working as a dental nurse until early 2017. 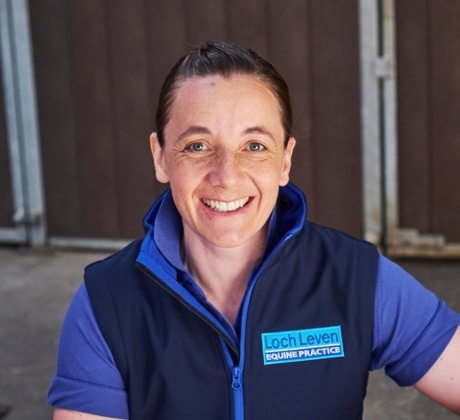 This was a great stepping stone into the veterinary industry and in 2017 Lindsay went back to her true passion of working with horses once again when she joined the team at Loch Leven Equine Practice. Outside work Lindsay loves spending time with her friends and family, including her two nieces and nephew, as well as having fun walking and training her Border Collie, Poppy! Patty will probably be your first point of contact when you phone the vet. She is from a farming background and has spent 12 years amongst horses before coming to work at the practice. Patty manages the office and deals with the many insurance claims that we process each week. Having brought up three children she is well practiced at multitasking- a skill needed to keep the vets on top of their work. She hails from the north of Scotland but has been living in Cleish for the past 30 years so knows her way around the area. In 2011 Patty was recognised for all of her hard work by winning the prestigous Petplan Equine Support Staff of the Year award!! When not answering phones she enjoys walking dogs, her own or other peoples and cooking for herself or other people! Patty is particularly well known for her amazing baking for our client evenings as well as keeping the team fed and watered at work every day. Emily joined our customer care team to work alongside Patty and Cara in the office. Originating from Edinburgh Emily moved to Fife in 2008 to be with her partner, Andrew. After completing her HND in Equine Management at Oatridge College Emily went travelling to New Zealand in 2005 which she rates as one of the most amazing experiences and one she would love to repeat in the future. 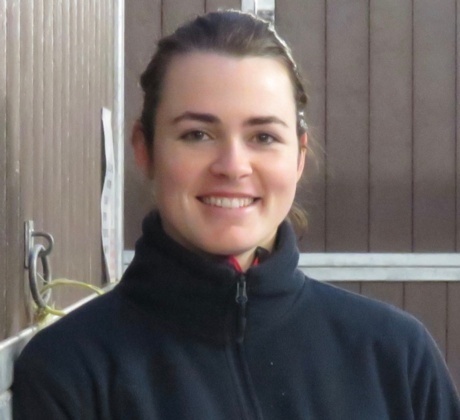 During her time in New Zealand Emily worked with TB yearlings preparing them for the prestigious yearling sales. 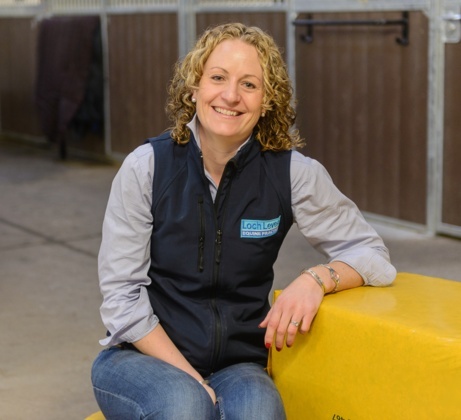 With a background in horses and customer service related roles Emily is also a qualified Bench Saddler, having spent two years in London to complete her training. However she doesn't get much time to do this anymore as she and Andrew welcomed baby Morven this year which is keeping them both busy. Outside work Emily loves spending time with her own horse Mr Finnegan, a 16.2hh, Warmblood and her rescue shetland Buzz, any other free time is spent with friends and family. Cara works in our customer care team alongside Patty and Emily in the office. 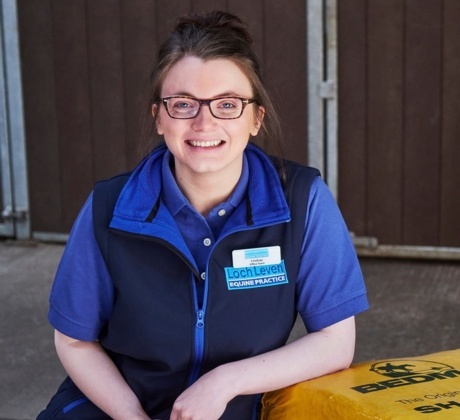 After completing high school in Dunfermline, Cara moved to Edinburgh in 2013 to work for another Equine Practice before moving to Edinburgh Vet School. 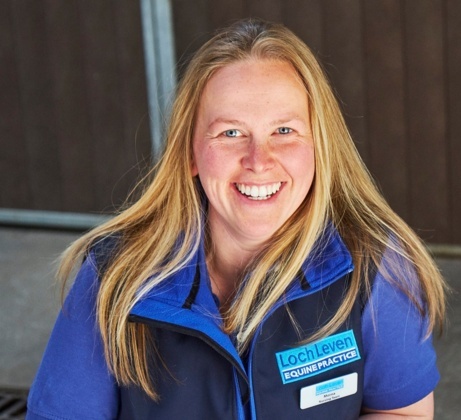 In 2017 she returned home to take up a position at Loch Leven Equine Practice. Cara enjoys working alongside the team, and meeting clients and their horses and can often be found helping in the clinic. During the weekends and evenings Cara enjoys long walks with her dog Poppy and heading out riding with friends. 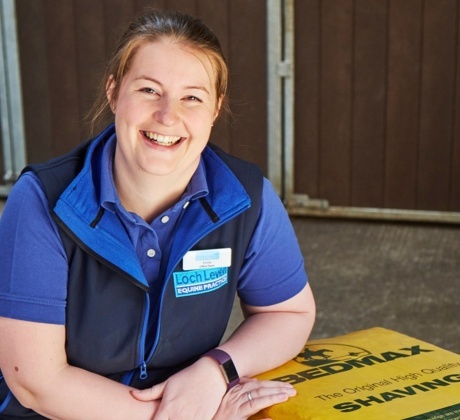 Siobhan joined the Loch Leven team in December 2013 as a Groom and a Trainee Veterinary Nurse. Originating from Dalgety Bay Siobhan has always had a love of horses having worked with them for the last eight years. 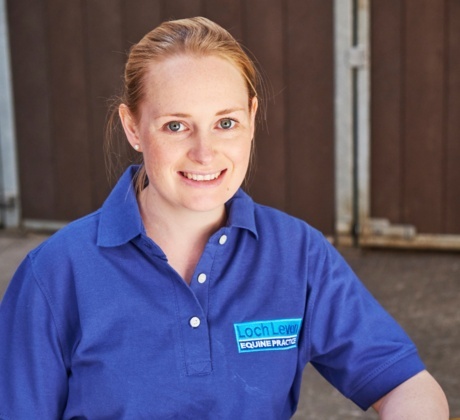 Siobhan joined Lucinda Russell’s team in 2005 and worked her way up to Travelling Head Lass. This position saw her undertake a wide range of duties including the day to day care of a large number of horses, transporting horses to the races, the careful presentation of them prior to racing, and working alongside the veterinary team to deal with any post racing injuries. Outside work Siobhan loves walking her dog Tink, seeing friends, reading books, baking cakes and going to watch the rugby. Morna joined the team in May 2016 and can be found working with our inpatients or out on the road helping with clients horses. Originating from Perth, Morna grew up with an inherent love of horses and finally got her own pony when she was 14. Following school Morna worked at Gleneagles for a year before going to Oatridge College to complete an HND at Oatridge in Horse Management. Morna graduated in 2002, following which she gained vast experience working with a variety of different horses over the past 18 years. Morna loves making the horses feel at home while they are at the clinic. Outside work Morna likes to walk her dog, eat ice cream and socialise with her friends.